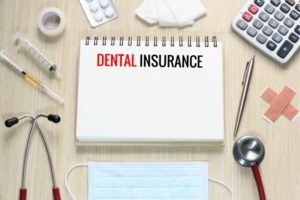 Most dental insurance policies work on a calendar year basis. Every January 1, they give you a certain dollar amount to put toward oral health services, usually around $1,000. Whatever portion of that money you don’t use by December 31 disappears forever; it doesn’t roll over to the next year. Therefore, if you are paying a monthly premium of $30 for your policy, and you never visit the dentist, you’re spending $360 per year and not getting anything in return. If you neglect routine dental care for years at a time, you could end up losing out on tens of thousands of dollars of benefits. Most people fall into the trap of not using their dental insurance. In fact, according to one estimate, less than three percent of people meet or exceed their policy’s annual maximum. Schedule a checkup now. Most insurance policies cover preventive care at 100%. You may be able to get a routine cleaning and exam for nothing out of pocket! Plan ahead for restorative work. If your checkup reveals that you need a filling, crown, or other restorative work, you may still have time before the end of the year to get the service done. Schedule major work across two calendar years. If you need a particularly expensive procedure, you may be able to have it done in multiple appointments across two calendar years. Therefore, you could take advantage of two annual maximums rather than just one. Learn the details of your insurance policy. The more you know about how your coverage works, the better you’ll be able to utilize it in a way that benefits your wallet and your oral health. 2018 is quickly approaching its end. Be sure to use this year’s dental benefits before they expire so you can get the greatest value for your money and enjoy a healthier, fresher smile. Dr. Alan Rauchberg is the owner of Rauchberg Dental Group and leads our talented team of oral health professionals. He is a skilled general dentist and is proud to provide quality services to members of our community. If you would like to learn about our insurance acceptance policy, the care we offer, or anything else regarding our practice, contact us at 973-334-3777.